On March 18, 2011, CBC Marketplace aired a feature about misleading labeling on cosmetic and hygienic products titled “Lousy Labels”. Marketplace started a campaign to reveal the companies who use ‘green-washing’ techniques to market their beauty products, in an attempt to cash in on the public's desire to use more environmentally- and health-friendly products. There’s a lot of “green-washing” of skin care products, in particular. Terms such as natural, eco-friendly, green, and even organic are unregulated. They're just marketing terms. Anyone can use them. So it is not surprising that the products of companies that brand themselves as green/organic/natural companies are often anything but. The CBC program pointed out two companies which are guilty of this: Aubrey Organics and Avalon Organics. Besides these, if you actually take a closer look at what’s in the products of Burt’s Bees and Nature’s Gate, you will see how misleading the branding really is. Can you Trust the Ingredients List? So our first step should be to check the ingredient list before making a decision to buy and not rely on the branding. One might think you can find the truth in the list of ingredients. Not so fast! It’s sometimes right in the ingredients list where the worst misleading goes on. Spring water, organic rosewater, organic oils of jojoba, shea butter, aloe vera, seaweed extract, jojoba, herbal infusions of green tea, elderflowers, rosehips, horsetail, comfrey root, rosebud, nettles, marshmallow plant, orange and rose wax; essential oils of lavender, rose otto, neroli, immortelle, palmarosa, carrot, lemon, schizandra and geranium; antioxidant extracts of rosemary and sage. Looks natural, even homemade, doesn’t it? Something a very health conscious individual might put together in a kitchen. I’ve already addressed the topic of raw cosmetics in Raw Cosmetics: Is it Possible? There are some big labeling violations in this list. Note that when an ingredient is essentially identical with a plant part, you must list the species name in Latin, whether or not you list it by common name. Why? Because common names vary, applying across cultures and languages to different plants. Next, note that organic, by itself, means nothing special, legally speaking. Only Certified Organic does. 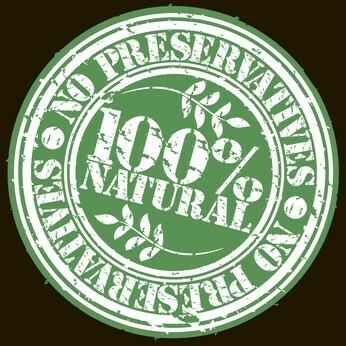 For more information about the difference this one word makes, read Difference Between Organic and Certified Organic. The list contains other errors as well. After Aloe vera must appear the term extract or juice…the word antioxidant in “antioxidant extracts of rosemary and sage” should not be present in the list of the ingredients, but rather is placed there only as a buzzword to sound scientific. But lets get to the BIG problem. If there is water (and it’s the first and so should be the most prevalent ingredient on the list), there must be a preservative. 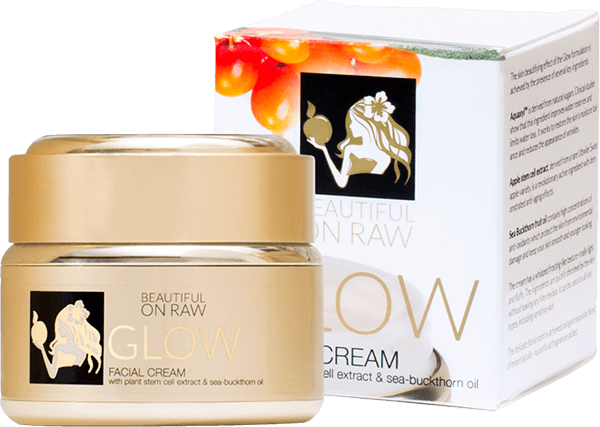 When we were formulating Beautiful on Raw Facial Cream, inspired by such labels, I insisted that our cosmetic chemists also try not using any preservatives. At first they argued with me, but I was adamant and against their better judgment they yielded to my insistence. The longest shelf life we were able to achieve without preservatives was just 1 week. After that period a nasty looking mold would start to grow! In order to have any kind of shelf life, a beauty product must have ‘full spectrum’ preservatives, meaning effective against bacteria, yeast and mold all at the same time. So where are the preservatives in this “raw” cream? Not listed! If it looks and performs like a regular moisturizer it must have emulsifiers and a stabilizer or it will not hold together and will not be “creamy” at all. But these key ingredients have also been simply dropped from the list. This is no small matter. In the U.S.A., the Fair Packaging and Labeling Act (FPLA) prohibits deceptively packaged cosmetics, where the label is misleading or false or the label does not include required information. There was a time when I believed in printed labels. Some of these “errors” are honest mistakes of learning the cosmetic industry. But once you know the truth, you must say nothing else. So as always, I encourage you to do your research, but now I also suggest you watch out for claims that are too good to be true!